Use these safe-driving tips when traveling through cone zones. Remember: In Colorado, the fines are doubled for most infractions in a work zone. Normal speed limits may be reduced, traffic lanes may be changed, and people may be working on or near the road. Speeding is one of the major causes of work zone crashes. Keep a safe distance between your car and the car ahead of you. The most common crash in a highway work zone is a rear-end collision, so leave two car lengths between you and the car in front of you. Keep a safe distance between your vehicle, and the construction workers and their equipment. The warning signs are there to help you and other drivers move safely through the work zone. Observe the posted signs until you see the one that says you've left the work zone. Dedicate your full attention to the roadway, and avoid changing radio stations or using cellphones while driving in a work zone. Help maintain traffic flow and posted speeds by merging as soon as possible. Don't drive right up to the lane closure and then try barge in. Schedule enough time to drive safely, and check radio, television and websites for traffic information. Expect delays, and leave early so you can reach your destination on time. Work zones aren't there to personally inconvenience you. 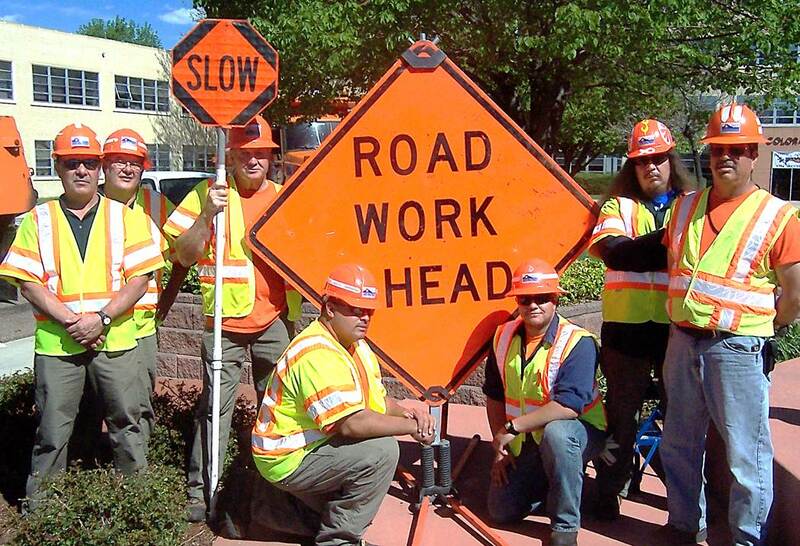 Remember: The work zone crew members are working to improve the road and make your future drive better.